Why Are LS ENGINES So Exceptional? This Video Has The ANSWERS! Those who are still learning, and of course those who already know, have asked themselves at least once: what does it take to create a quality engine? Sure the components are crucial, but the way of making it can also determine the engine`s attributes. Today`s video has something more to present you regarding this issue. In other words, the founder of Nelson Racing Engines, Tom Nelson, tells you what`s needed in order to build a good engine. Moreover, you will find out why are LS engines so exceptional. 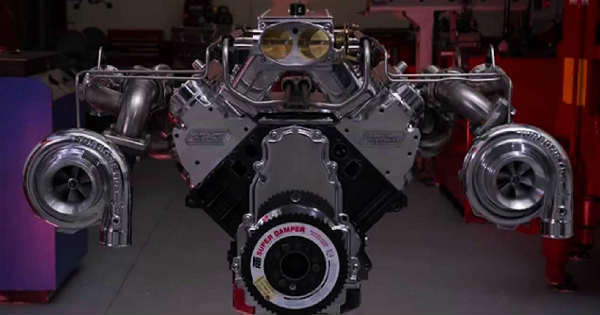 He started his company in `85, and the specialty is building turbocharged motors, but also they make supercharged, naturally aspirated, injected, mostly V8 model motors. According to him, there are three main elements that make the LS engine what it is. It provides a lot of power, light weighted and is cheap. Furthermore, he explains that the LS engines are the most used engine in the world. At the end it all comes to the air that goes in and out the engine, he explains. Next, he describes the process of making an LS motor. It is made only from iron and aluminum. One main perk is that aluminum motors cool down faster thus relieving the cooling system. When it comes to iron the positive side is pretty straightforward -- it is strong. Be sure to watch the whole video, in order to figure out everything you want to know! P.S. Do you want to listen to some LS music?! Click here to watch and hear one screaming 1969 Chevelle with LS3 engine.